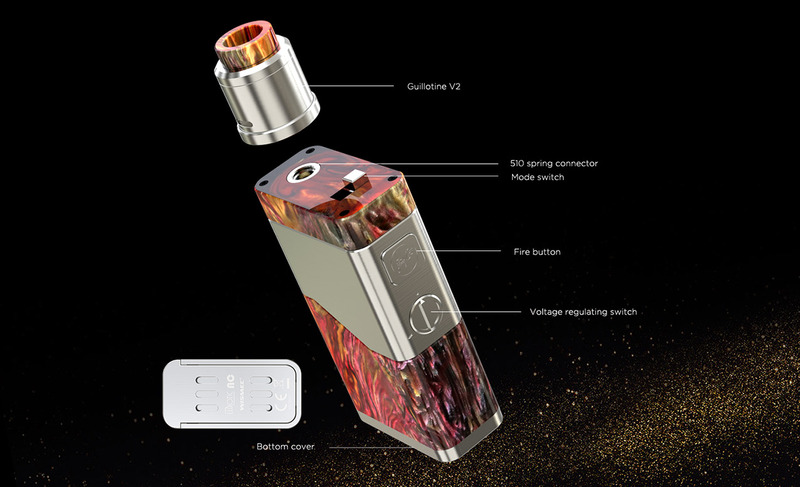 Wismec LUXOTIC NC, a new member of LUXOTIC series, is another masterpiece designed by JayBo. 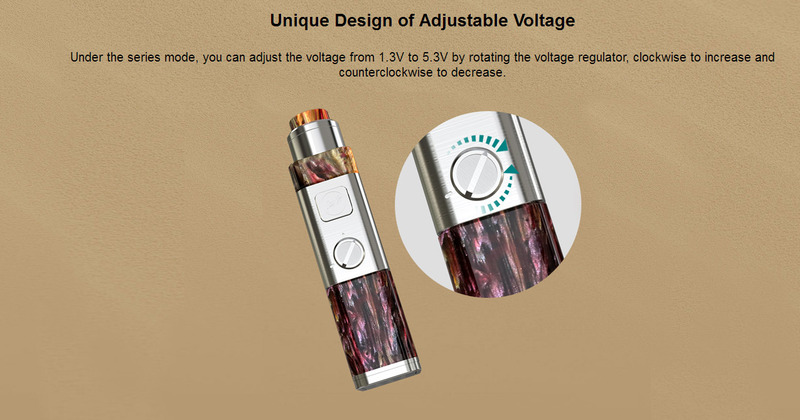 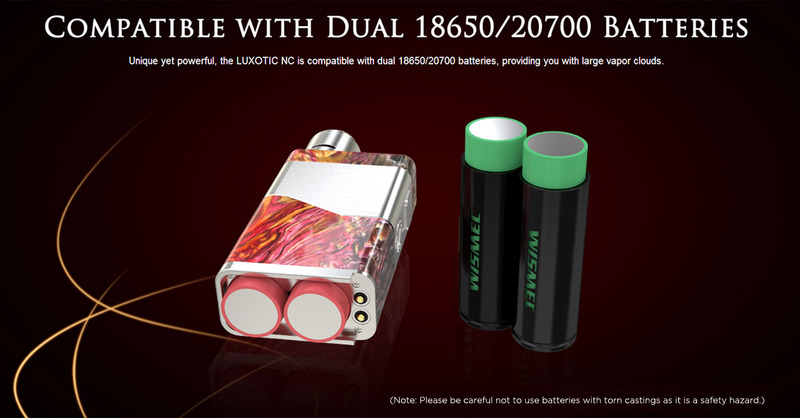 Compatible with dual 18650/20700 batteries, LUXOTIC NC devotes to providing you with incomparable vaping experience. 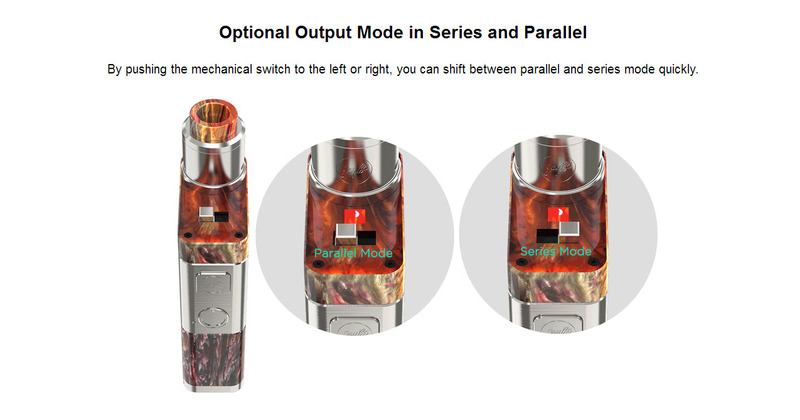 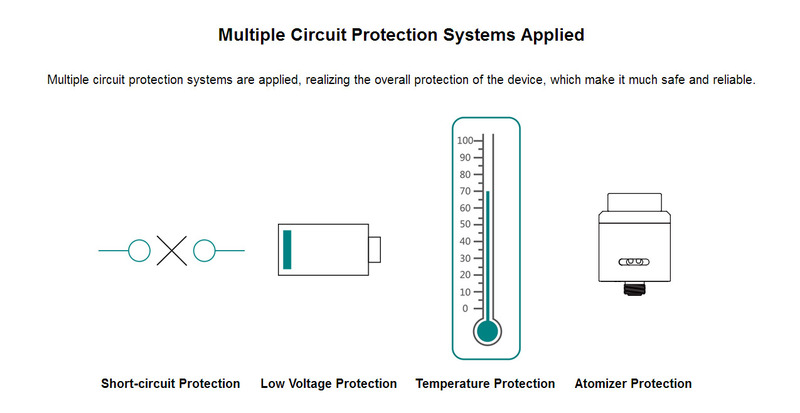 Featuring the optional output mode in series and parallel, multiple protection systems are applied which make the device much safe and reliable. 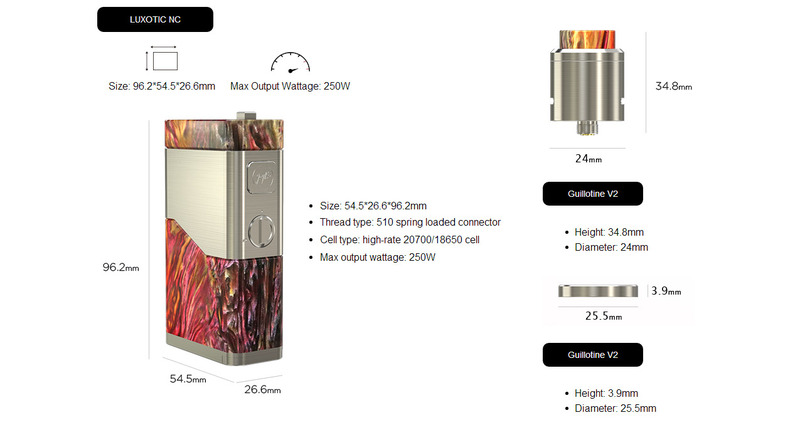 With detachable structure and Clapton 0.28ohm coil, Guillotine V2 pairs with the LUXOTIC NC perfectly for cloud chasing.